History has repeated itself for City boss Sizwe Hadebe. The City on Thursday resolved to place him on suspension. This is the second time Hadebe has faced suspension, after his first at Ekhurhuleni Municipality in 2012. Yesterday Mayor Themba Njilo presented his report on the investigation into allegations of misconduct against Hadebe at a special full council meeting. 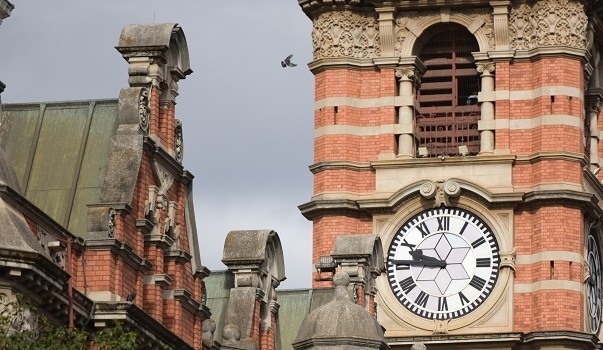 It contained a letter from Hadebe’s lawyer giving reasons why the municipal manager believes the council should not place him on precautionary suspension. According to sources, Hadebe said there were no significant grounds for his being suspended because the charges brought against him were vague. He also highlighted that other general managers were previously not suspended pending probes into allegations against them. His reasons obviously failed to persuade council as it resolved to officially suspend him. This was motivated by a recommendation from independent investigator Sthembele Mhlanga, which said that Hadebe’s presence could jeopardise the probe, especially since the investigation also delves into the allegations of malfeasance made by the general managers who report to him. Speaking to The Witness after the meeting, Njilo said he will be writing to Hadebe to inform him about the council’s decision. He said he hopes things will now stabilise at city hall because there was a lot of tension between Hadebe and the managers, which had a negative impact on the morale of the officials. The suspension was celebrated by councillors from opposition parties who originally objected to Hadebe’s appointment because of his past. In 2012 Hadebe and four other officials from Ekhurhuleni were suspended on allegations of tender irregularities, but the disciplinary process came to an end when he resigned in 2014. “We don’t know if history is going to repeat itself but if he resigns then the investigation will come to an end because we cannot subject him to the employment policy of Msunduzi when he no longer works here,” said the DA’s Sibongiseni Majola. He said the party is looking forward to having its day with Mhlanga where they will present evidence of financial misconduct allegedly committed by Hadebe since his appointment in 2016. The IFP’s Thinasonke Ntombela said: “His suspension is long overdue but we welcome it though belated. However, I must emphasise that the IFP hopes all the legal processes have been followed so that council does not get taken to court over this because the judge might rule that he must come back to work before the investigation is concluded,” he warned. ACDP councillor Rienus Niemand said he has laid criminal charges of fraud and corruption against Hadebe which are being investigated by the Hawks. He said the same charges have been brought to Njilo’s attention. Attempts to get comment from Hadebe were unsuccessful.